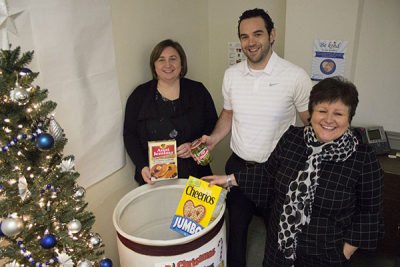 While the holiday season brings fun times and celebration, it can be a challenging time for some people. 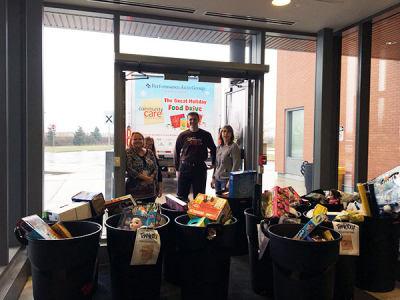 From holiday food and toy drives, to collecting diapers and socks to donating winter hats, mittens, boots and coats – Niagara Health team members are finding ways to spread a little joy to patients and residents in need within our community. 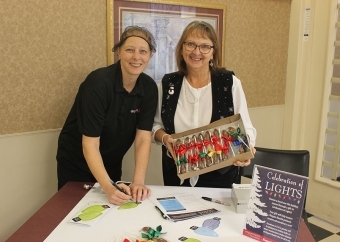 NH team members are helping to fund urgently needed equipment at all sites by making donations to the Niagara Health Foundation’s Celebration of Lights Campaign. 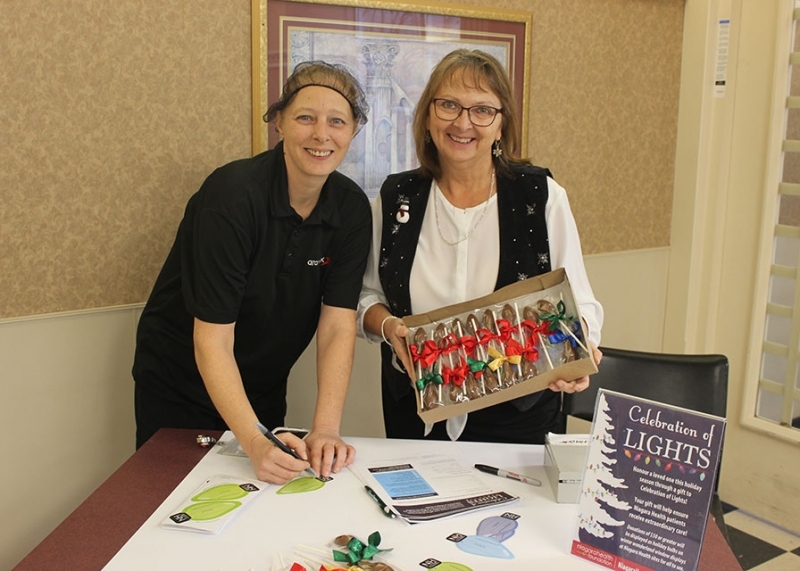 This year, when you make a donation in honour of a co-worker or loved one, you will receive a chocolate bulb donated by Nigh’s Sweet Shop to give to your honouree. 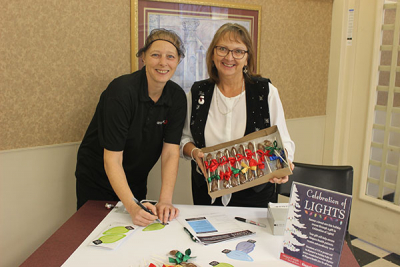 Make a donation in person at a Niagara Health Foundation office, online here or call (905) 323-3863 . 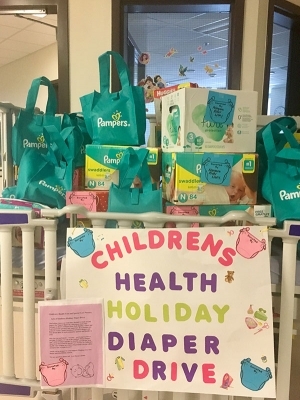 Our Children’s Health Unit and Special Care Nursery are collecting donations of diapers from staff, families and visitors that will be donated to local community agencies and families in need. 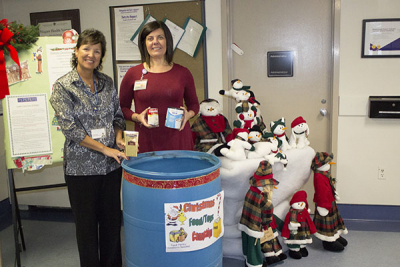 You can participate by bringing in a package or box of diapers to one of the bins in the Special Care Nursery or Children’s Health Unit by Friday, Dec. 31. Call extension (905) 378-4647 extension 41309 if you require more information. 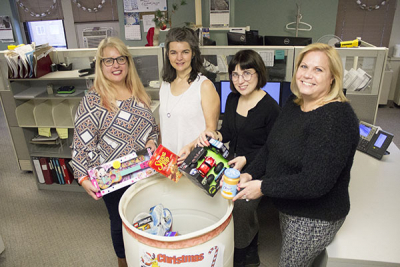 Niagara Health team members across all of our sites collect toys, non-perishable food items and personal hygiene items in support of Community Care, Open Arms Mission and Hope Centre, Women’s Place and Project Share. Donations have been picked-up. Thank you for your generous support. 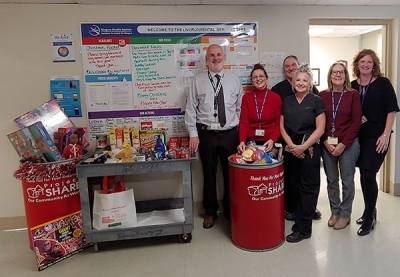 Ever year our Extended Care Unit (ECU) and Interim Long-Term Care Unit (ILTC) team has had a tradition of decorating a tree with candy canes. 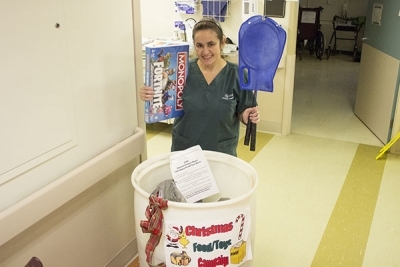 Each candy cane has a wish card attached, noting a personal wish that each resident has for the holidays. Anyone can take a candy cane wish from the tree and purchase the item requested. Please call (905) 378-4647 extension 33502 for more information. 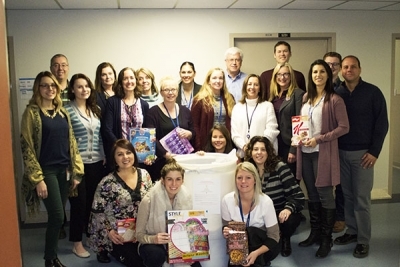 Niagara Health team members coordinate clothing drives every spring and fall providing clothing to patients in need. 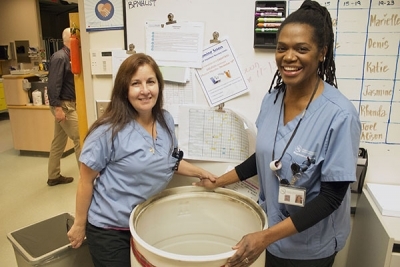 With the winter weather upon us, Patient Advocate Services is looking for donations of new or gently used winter jackets, pants, hats and mittens. Please call extension (905) 378-4647 extension 49443 for more information.